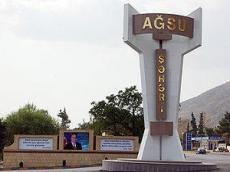 As a result of the earthquake that occurred in Azerbaijan’s Aghsu region, cracks formed in some houses in the region, head of the Aghsu executive power Anvar Seidaliyev told Trend Feb. 6. According to preliminary data from the Republican Seismic Survey Center, five earthquakes have been recorded since Feb. 5, with the first one, a 4-point earthquake, being recorded at 23:19 (GMT+4), 7 km south of the Pirgulu station, in the territory of Aghsu. The aftershock’s epicenter was located at a depth of 10 km, and was felt at its epicenter at a magnitude of 5, and 4.3 in its vicinity. The last earthquake was recorded at 04:25 (GMT+4), 9 km south of the Pirgulu station, in the territory of Ismayilli. Three of the earthquakes were felt.